Enfora was an international, wireless networking company headquartered in Richardson, Texas, which was purchased by Novatel Wireless in 2010. 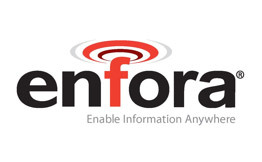 Enfora was established in 1999 and is a provider of wireless networking solutions that enable businesses to access, analyze and leverage information from their geographically dispersed assets. Enfora's solutions, consisting of embedded wireless software, wireless platforms – embedded and integrated, integrated products and enterprise software, are based on their distributed intelligence architecture that links an enterprise and its remote assets. Businesses use their products for location-based, monitoring and control, and asset management applications. It had offices in Europe, Asia and Latin America.